Mike mike mike guess what day it is?! CRAFT DAYYYYY! 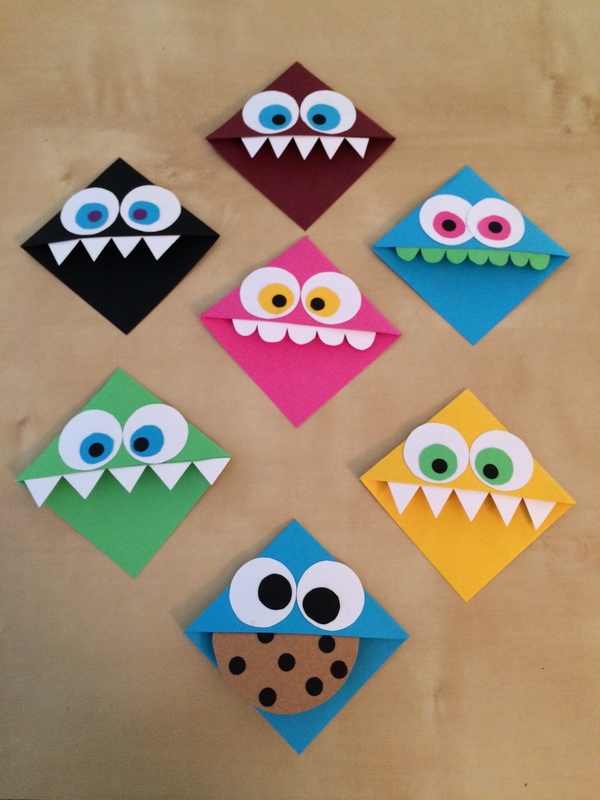 That’s about as amped as I get for Wednesdays…but anyway, last week I saw these cute little monster bookmarks on Pinterest that made me think of my roommate Eileen. We read some tutorials and took them for a test run the other day, so I thought I’d share our steps with you! 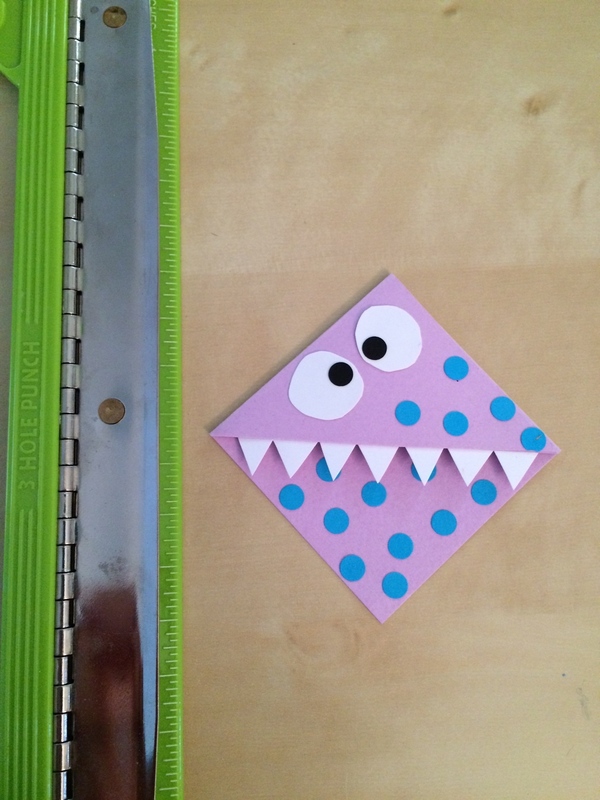 They’re a quick and easy craft to do with kids, or to give as gifts for bookworms, or to keep for yourself…they’re so cute! 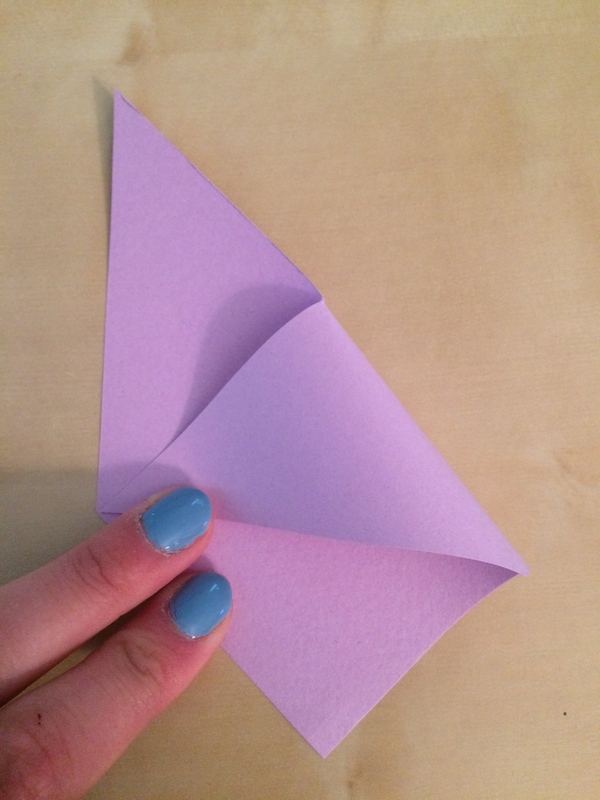 First, make a template on some scratch paper. 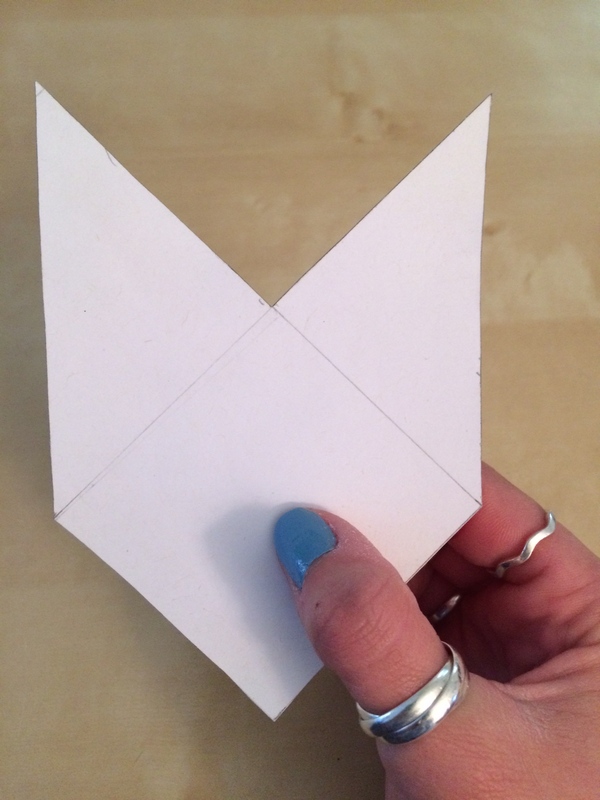 Start by drawing three boxes (each 2.5″x2.5″) in an “L” shape. 2. Second, split the two end boxes diagonally, and shade the outer edges (we’ll cut those off in the next step. Third, cut out your template. The final should look like a diamond with two “ears” sticking up. 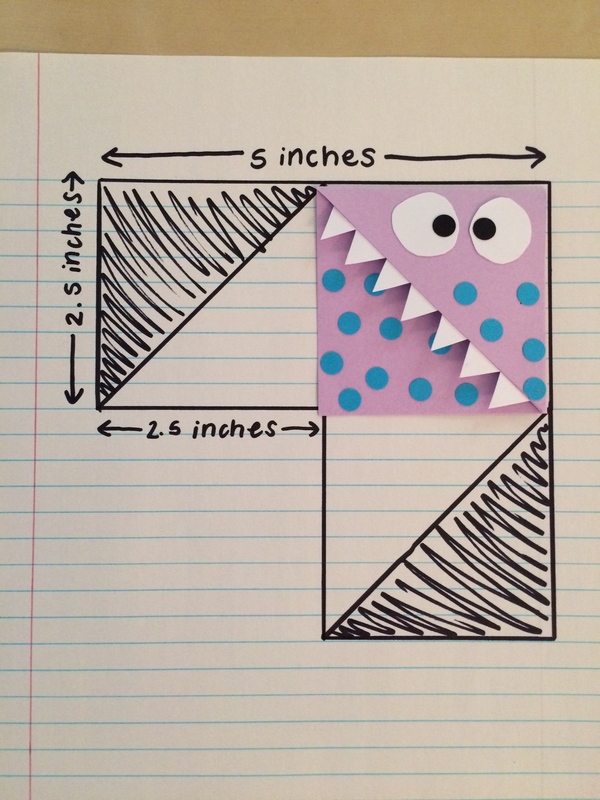 Then trace the outline of the template onto a bright piece of paper (or patterned scrapbook paper). 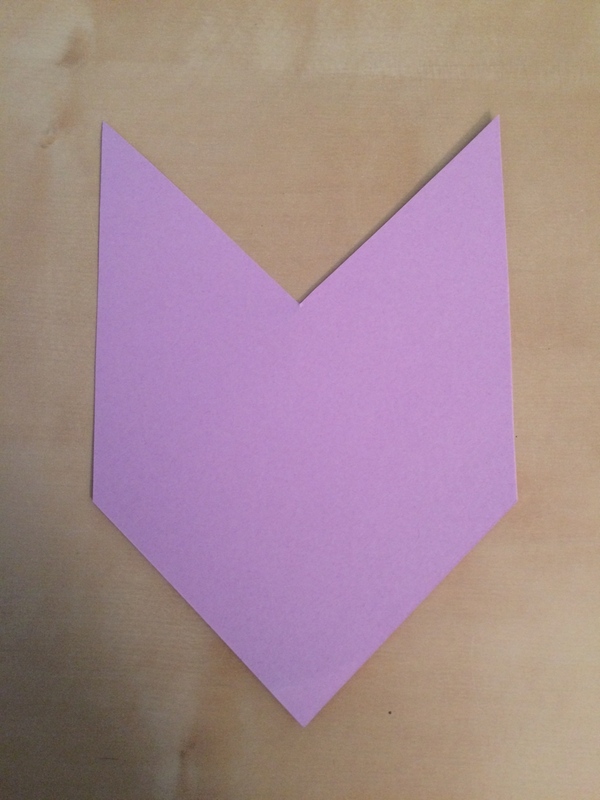 Fourth, take the top right “ear” of your cutout and fold it diagonally, so that it matches the middle point on the left side. 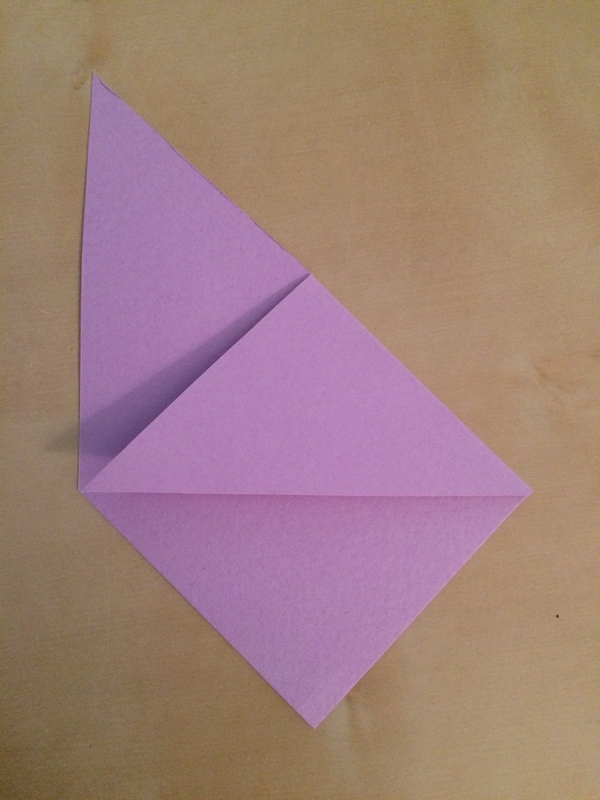 Fifth, fold the top left corner to the middle point on the right side of the cutout. 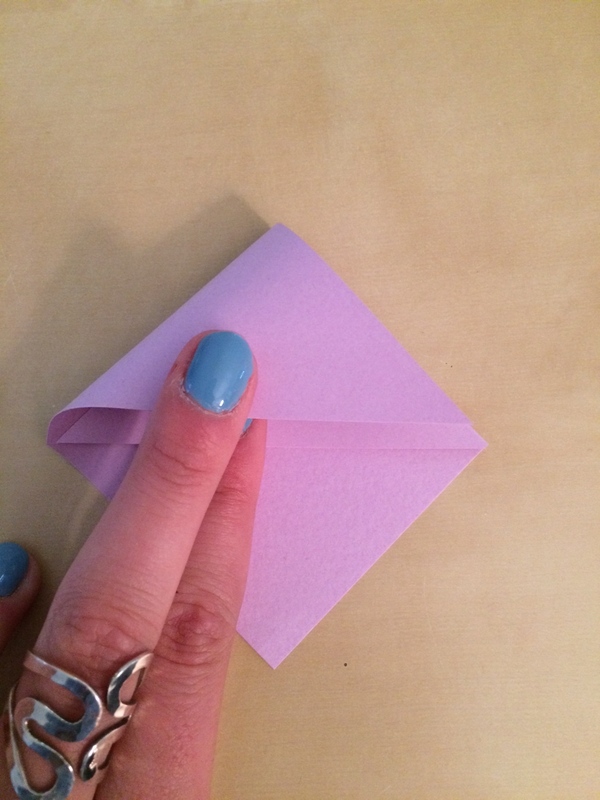 *Make sure those folded edges are nice and crisp by using your finger nail or the flat side of a pencil to really press down the creases. 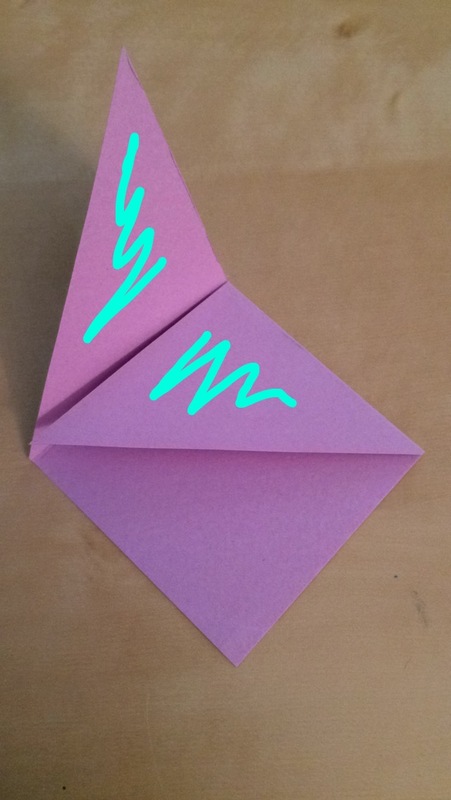 Sixth, apply some glue to the top side of the folded over right ear, and also to the underside of the left ear (I highlighted the areas where you should apply glue with a blue scribble in the photo above). Let these little guys make reading a little more fun 😉 Enjoy!